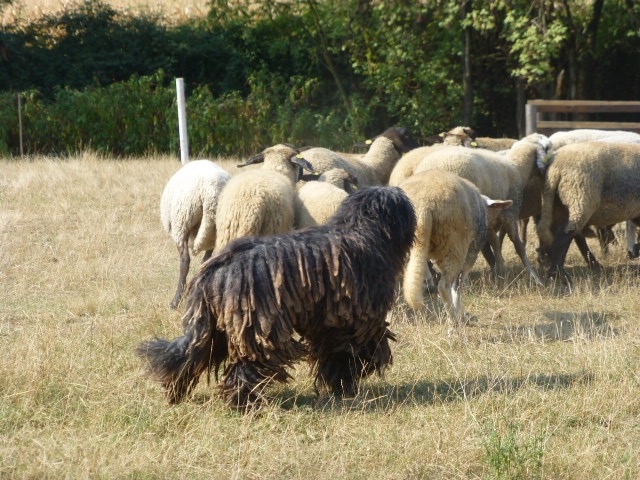 The Bergamasco was selected to drive large flocks of sheep and cattle, to recover, to gather, to keep an eye on grazing. Thanks also to the activities of the Club CLB , Cani da Lavoro sul Bestiame (www.clbdog.com), In Italy, it is now possible to practice herding dog trials, activity officially recognized with international rules, that gives the opportunity to verify the Bergamasco’s capability in herding the flock in various situations and with various difficulties depending on the test, in order to maintain and preserve the aptitude of the breed and all the behavioral sequences that distinguish them with adequate answers and proper stimulation. 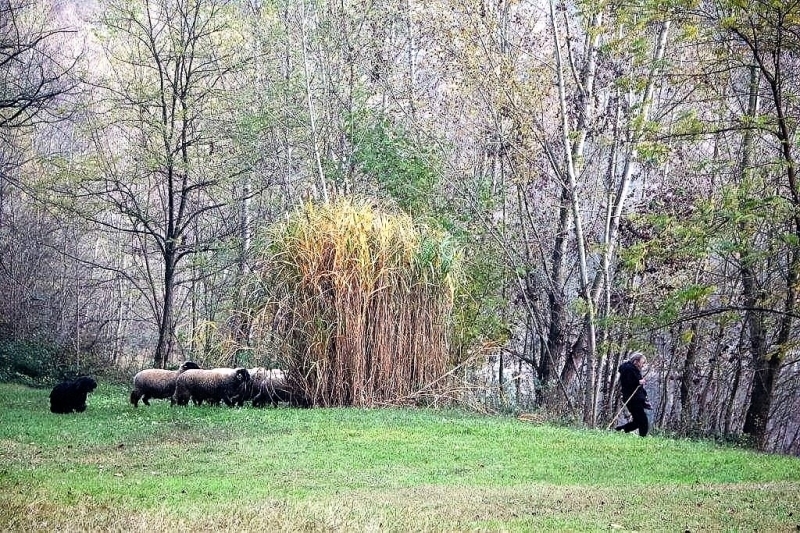 This activity is not only appreciated by the dogs, but also by the handlers because it is an opportunity to spend moments of complete harmony with the dog and animals in close contact with nature. 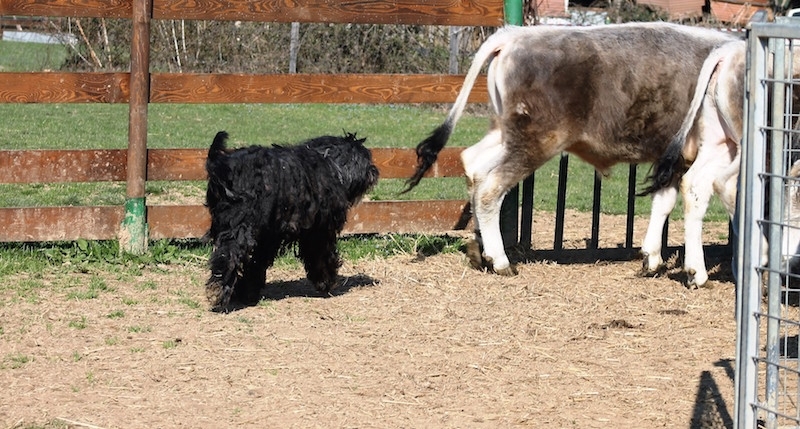 It is a course that requires a good feeling with the dog and a close relationship that one gains with refined communication and obedience, a course that requires total respect for animals and the knowledge that above all it is the welfare of all involved that has the priority. 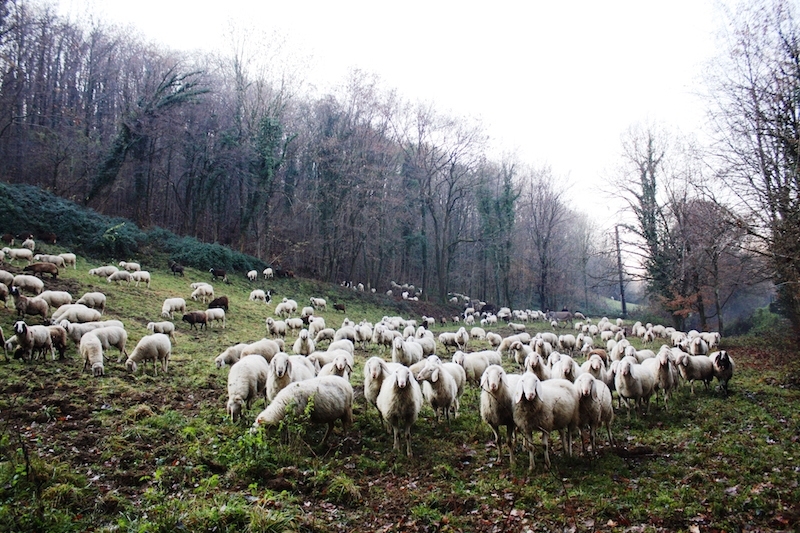 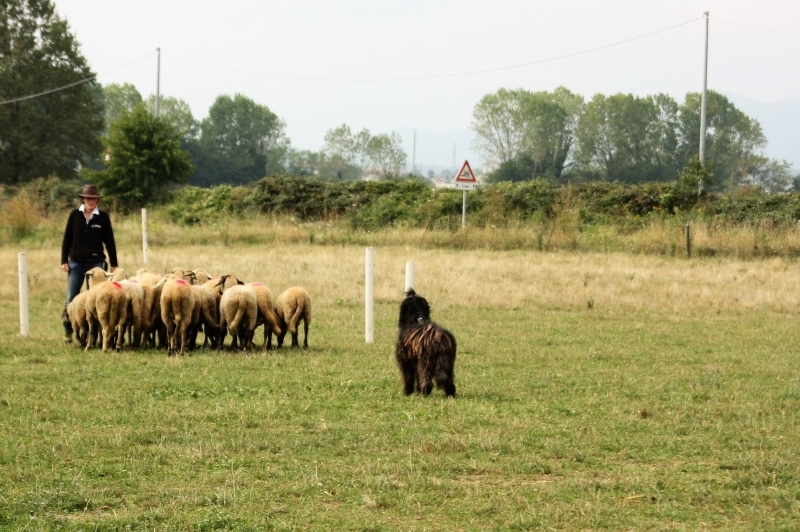 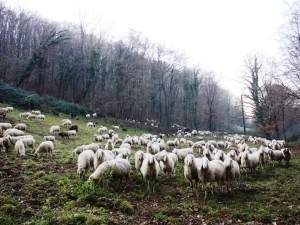 In Italy, working with sheep and cattle using Bergamasco sheepdogs and other herding dogs, has in the past few years, been promoted and developed also thanks to the setting up of the CLB field of Suisio (BG). 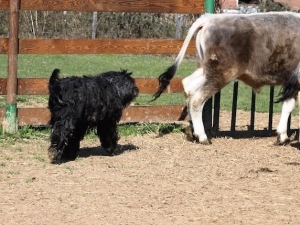 Dolce 20.01.2011 by Flick dei Pitoti x Tina kennels of Fabrizio Nava owner Rahel Koller. 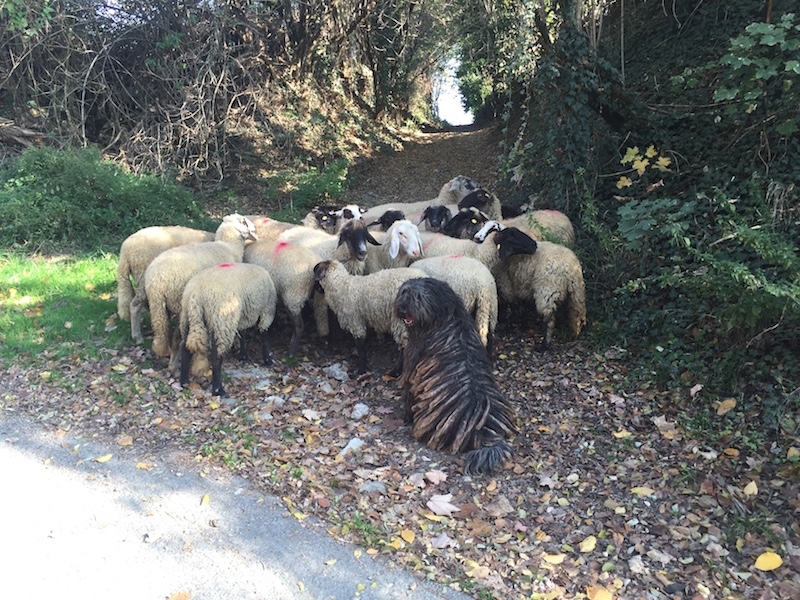 Italian Champion of working with livestock. 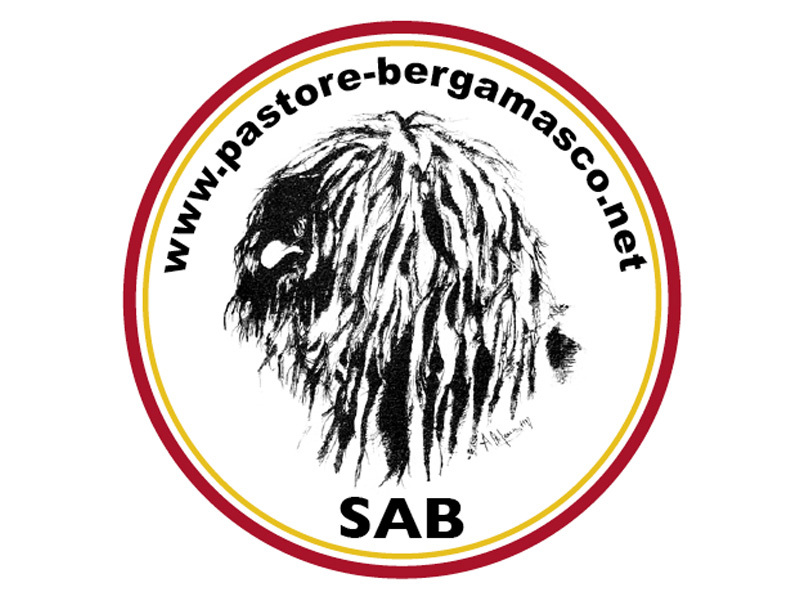 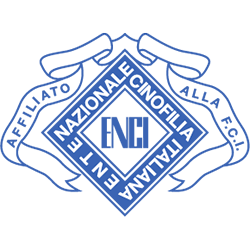 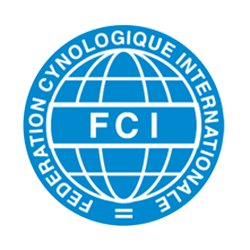 In recent years we has been able to appreciate the Bergamasco’s accomplishments in ENCI FCI tests with a good number of subjects taking part in higher grade classes in the Traditional Style. 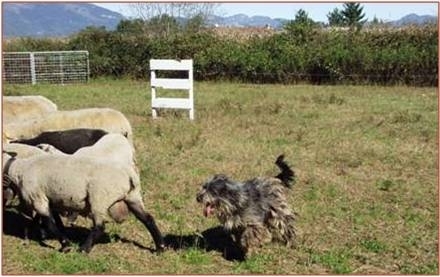 Initiative remains one of the fundamental qualities in our Bergamasco and he shows it by quickly read the livestock intentions and drives him to intervene whenever he thinks it’s necessary, sometimes even anticipating the handler’s commands. 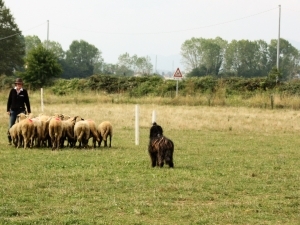 Always alert and vigilant, for him control and supervision of the flock come first above all else. 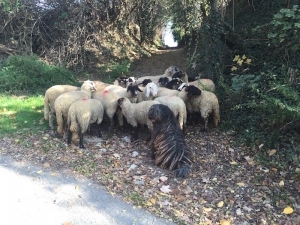 When a sheep is left behind or wanders off from the set course, the Bergamasco automatically goes and recovers the animal very quickly. The capacity to jump to overcome obstacles are other strong points of the Bergamasco highlighting his outstanding agility. 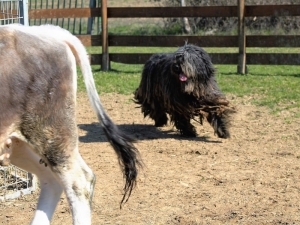 The Bergamasco is fast and doesn’t bother about having to pass through brambles or jump fences. 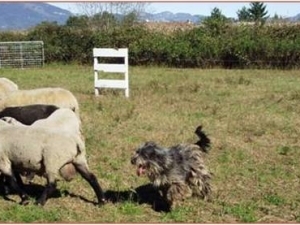 Herding dog trials is an activity that brings to light the reason why the Bergamasco was selected and to help put to good use his potentials.